MOSCOW (AP) — The Kremlin said Friday it expects Britain to say what it knows about the identities of the two suspects in the nerve agent poisoning of a former Russian spy so Russian officials can launch an investigation. President Vladimir Putin’s spokesman, Dmitry Peskov, said allegations from British-based investigative group Bellingcat and others can’t be the basis for a Russian inquiry, adding that Moscow expects British officials to produce the government’s information. Britain has charged Alexander Petrov and Ruslan Boshirov with trying to kill ex-spy Sergei Skripal and his daughter, Yulia, with the Soviet-designed nerve agent Novichok. The Skripals survived the March 4 attack in Salisbury, but a resident of a nearby England town later died after apparently having contact with the poison. British officials allege the attack on the Skripals received approval “at a senior level of the Russian state,” an accusation Moscow has fiercely denied. After the two suspects were charged this month, Putin said they were civilians who did nothing criminal and urged them to speak to news outlets. The pair then appeared on Russia’s state-funded RT channel, saying they visited Salisbury as tourists and had nothing to do with the poisoning. 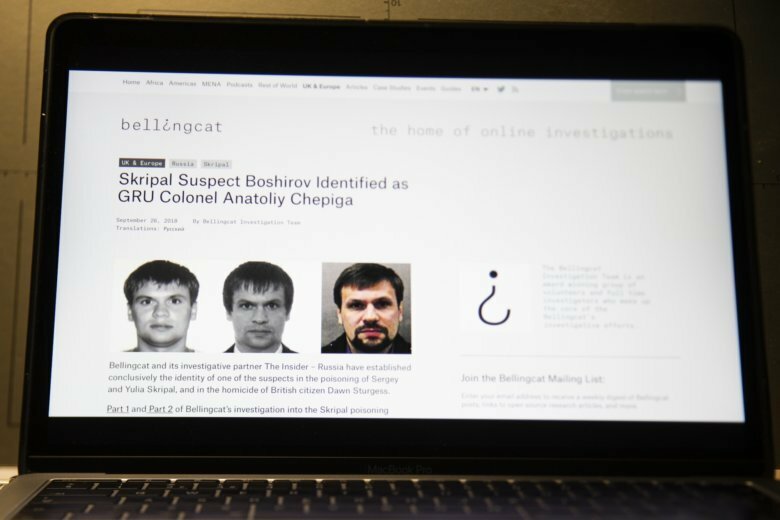 Bellingcat has reported that the man identified as Boshirov is in fact Col. Anatoly Chepiga of the Russian military intelligence agency GRU, who was awarded Russia’s highest medal in 2014. But beyond a photo from Chepiga’s 2003 passport file resembling Boshirov, the report didn’t contain further proof that Boshirov and Chepiga were the same person. On Thursday, Russian business daily Kommersant reported that some residents in Beryozovka, a small village in Russia’s far east where Chepiga’s family once lived, confirmed that they recognized Chepiga as the man identified as Boshirov. The newspaper said the villagers spoke on condition of anonymity fearing official reprisals. Chepiga’s former commanding officer at a military academy in far-eastern Russia told independent Dozhd TV he didn’t recognize Boshirov when he saw him on TV, but added that he didn’t clearly remember what Chepiga’s face looked like. Alexander Borzhko confirmed that Chepiga fought in Chechnya and received the Hero of Russia medal, information that also appears on the military academy’s website. Asked if the Kremlin could confirm that Chepiga received the Hero of Russia medal, Peskov responded that he checked and found no information about such a person receiving the award. Peskov scoffed at the claim that in a passport file Bellingcat said it reviewed, Chepiga closely resembles Boshirov. He cited the lookalikes of Soviet leaders Vladimir Lenin and Josef Stalin who prowl Red Square for tourists willing to pay for photos. “We have 10 Stalins and 15 Lenins on Red Square, and all of them closely resemble the real ones,” Peskov snapped.